Another lego game? Will the lego series ever end? But anyway, this game sounds fun. sounds like another amazing add-on to the lego series!!!! Somebody let me know how this game is when you get a chance!? I'm only an hour or two into it but this game is by far my favorite lego game. I haven't played any lego games recently other than some of Star Wars 3. 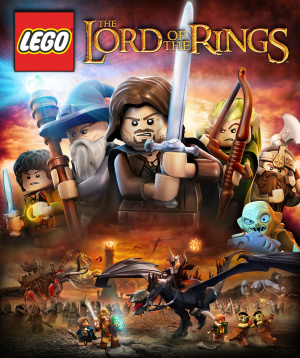 Playing this game brings me back to playing lego 1 and 2 on the gamecube (level layout wise). I really like how the hub world is basically Middle Earth. You can go from Hobbiton to Bree (that's as far as I am), and beyond exploring some areas in between for treasures. There seems to be alot to do other than just replaying levels which was the case with the older games. How closely the game follows the movies is awesome. Especially the voice acting which was taken directly from the films along with the music. I'm 21 and I'm still enjoying this game because its like watching the movies and there's so much to do. I'm also impressed by how many different things they've done with this game, such as there is a battle where the camera goes to first person while you are fighting. I also ran into a section of a level where there's a chase sequence where you are running having to avoid obstacles, it was pretty funny. If Lego City Undercover is anything like this then I'll be picking that up as well when it comes out. Can I play it on wii u?